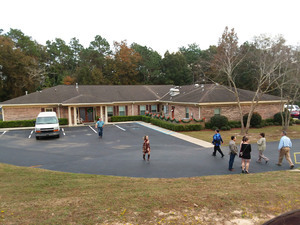 Each year the Children's Home in Mobile holds an open house to let area church members and other interested people visit and see first-hand where the children placed in their care live and learn. This year it was on December 3. At least 4 churches from the Choctaw Baptist Association attended: FBC Butler; Chappell Hill; Silas First; and Spring Bank. For many of us, it was the first time on the campus and were we impressed! Here is the group from Silas First and Spring Bank. This is the entrance to the Home, with the office/ admin building in the background. The hospitality of the staff and children was fantastic. We were served HEAVY snacks in all 3 buildings (the admin building, the boys' home and the girls' home). 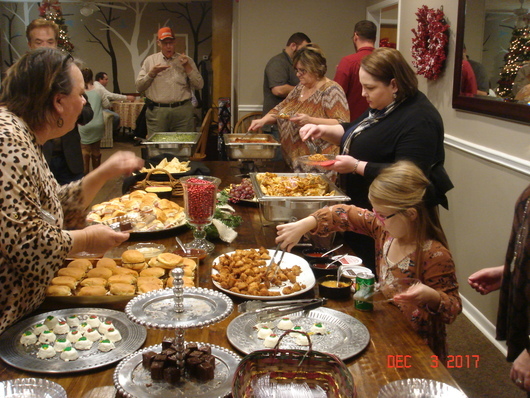 Not only was the food delicious, it was plentiful! At the admin building we were assigned to one of the children who took a group to his/ her home for a tour. Currently there are 6 boys and 8 girls there, with a capacity of 10 and 12 respectively. This number can change at any time. The children are bused to local public schools daily. Each child we met was eager to show us their room and introduce us to the others, particularly their roommates. Most of the rooms sleep two and are connected by jack and jill bathrooms. There is a common living/ dining room and a kitchen. There is also a laundry room, and each child is expected to do their laundry if they are old enough. They also have posted lists of daily and weekly chores, including cleaning the their toilets and showers. The homes each have a family of house parents, who have their own private living quarters. 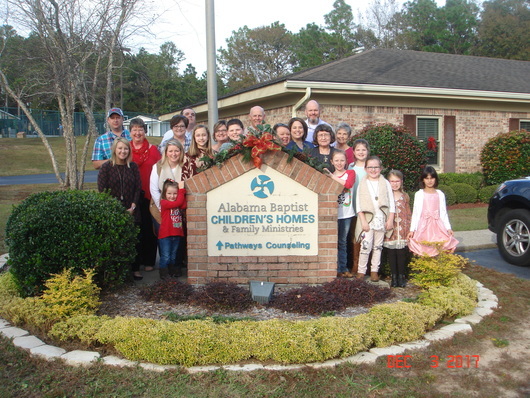 The children are usually referred by the Alabama Department of HRS, although occasionally there are private placements. The HRS works with the parents while ABCH works with the children and both agencies work together to reunite the children and their parents. The Gracie Home for mothers and children which we learned about at the Choctaw Annual Meeting is located at a different site and will have an open house sometime in 2018. 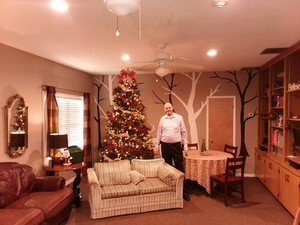 Brother Justin from Spring Bank can be seen in the living room of the boy's home, an example of the beautiful Christmas decorations and tasteful furnishings. 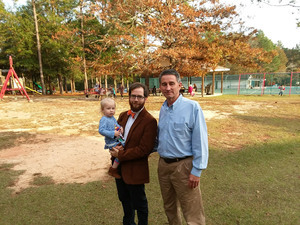 Nest we have Bro Tim Mathis, the new Chappell Hill pastor, with Don Giles. In the background is part of the great recreation facilities, including an outdoor pool and basketball court. The building you see is the back side of the Amin building, looking down the hill from the girls' home. 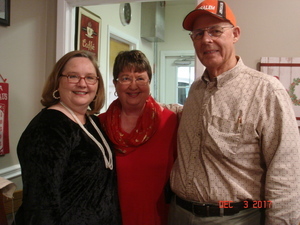 The final picture is Celina Doggett, Choctaw County's volunteer coordinator with the ABCH in Mobile, with Steve and Becky Marcereau (your Choctaw Association VBS director.) Altogether we all had a great time and came away with several positive impressions: our support is needed and the money is well-spent; the children are generally happy to be there and seem to get along well with each other; and everyone ought to go see this in person.